World famous Northern Shaolin and Praying Mantis Kung Fu master. Also known as the fight choreographer for the original “Kung Fu” television series. Dr. Yuen is the master of the very practical fighting form of the Grand Ultimate (Tai Chi) Plum flower Praying Mantis that is taught to many bodyguards of many Asian Presidents and World leaders. 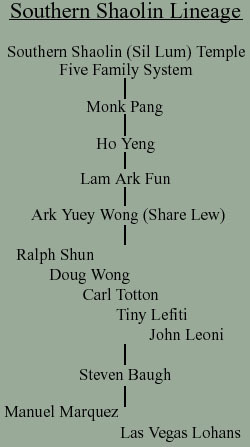 Legendary master of the Five Family Style (Ng Gar Kuen) of Sil Lum (Shaolin) and the five Animal System of the Tiger, Snake, Crane, Leopard and Dragon. Ark Wong is known as the first master to open the “secret” door of Kung Fu to non-Chinese, and the teacher of many famous Kung Fu and martial arts masters around the world. Famous Kung Fu master of the Internal styles of Hsing-I (Mind Form) and Pa Kua (Eight Trigrams) from the Wudan Mountains. Master Hsu was a very influential teacher in the understanding of Chinese thought, culture and philosophies. 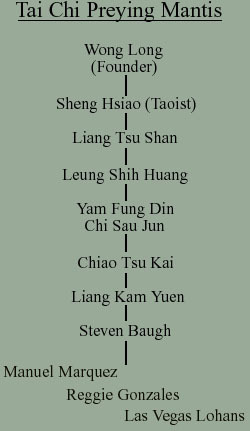 A Taoist priest, a Doctor, and Master of Sil Lum (Shaolin) Kung Fu, Karate, the Internal arts of Tai Chi, Tao Ga, Hsing-I, and Pa Kua. Sifu’s most influential teacher in the understanding of application of the martial arts, spirituality and related philosophies in the real world. Master of the Yang Style of Tai Chi Ch’uan and body guard to the famous activist for farm workers in California, Cesar Chavez. 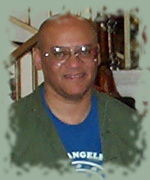 Powerful and influential teacher in the concepts and application of Tai Chi Ch’uan and Pa Kua. The top student of Master Hsu, carrying on his tradition of the internal arts, bone setting (Tui na), and Chinese herbal medicine. The leading authority and master of the Northern School of Shaolin, from lineage of Ku Yu Cheong (famous for his Iron Palm and one of the Ten Tigers Of Shaolin). 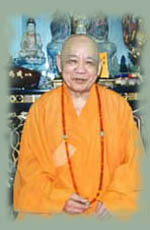 A master of Choy Li Fut Kung Fu and teacher of the traditional and spiritual form of the LION DANCE as taught in the Lohan School. We carry his flag in our parades and lion dances. 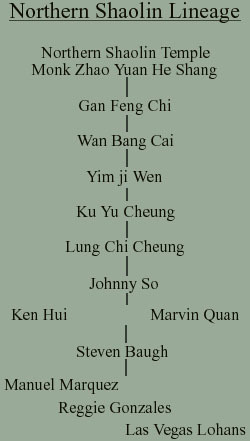 A master of the Chen (the original family) style of Tai Chi Chuan. Studied with the great Chen family master, Chen Fa Ke. 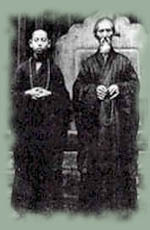 Famous throughout China as the lineage holder and leader of the Hanmi School of Buddhism. Ordained and transmitted the esoteric teachings of the Vajrayana to Sifu. Abbott of the Hsu Yun (Empty Cloud) temple. Transmitted the teachings and ordained Sifu in the Chan (Zen) school of Buddhism. Represents internal strength. 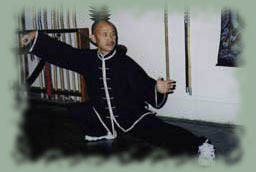 The dragon’s movements are soft and circular (similar to Tai Chi). The dragon builds the spirit, and uses it’s whole body to attack or defend. Represents external strength. The tiger’s movements are overpowering and strong. Tiger training builds tendons and bones, and strengthens the spine and neck. Tiger uses it’s weight and mass to attack. Represents internal strength and chi. The snake’s movements are soft and coiling. Snake builds the internal energy and chi, and it’s attacks are relaxed releasing chi upon impact. Represents both internal and external strength. The crane’s attacks are circular and end with quick exploding power. The crane builds muscles and tendons (flexibility), while developing jing (essential energy). Represents external strength. The leopard’s attacks have loose whipping power. Leopard builds the skin, tendon, muscle, and bone. It’s attacks are more powerful and penetrating.